Why Rescripting Astro Psychology by Cosmic Brain Programming and Reiki Healing is a unique Training Program ? In the developed world of today , most of us live under tremendous stress . This stress is because of the pressures in Professional and personal life. The inner energy required to meet the challenges of life is immense. Do our cells generate sufficient energy which makes us capable of meeting ever increasing demands in various spheres of life. If we see people around us and probe deeper inside , we will find that there is a severe emotional turbulence in the thought molecules which ultimately results in failures in maintaining a balance between Professional and personal life. Relationships are breaking . The stress level has reached it's critical point. An upgradation in inner energy is required to meet the challenges. It is a known fact among the scholars of Astrology and Astro Psychology that the entrapped energy at the time of birth is the energy released by the Planetary Configuration. This energy is responsible for our behaviour pattern. If this energy is dominantly malefic , underneath our cellular structure , there lies an inner volcano ready to explode. This is the volcano of malefic inner energy ready to burst which can break the safety walls of our inner balance and destroy everything in our life. Human being are trying very hard to provide sprinkles of damage controlling chemicals generated by Neuro Transmitters by enhancing the energy level by motivational speech, different healing therapies , Mind Power Techniques etc.All these give a positive impact temporarily. The entrapped planetary energy , whether benific or malefic is deeply preserved in the cells, DNA and Biophoton light which lies in the nucleus of DNA. Any Energy Transformational Technique need to penetrate at deeper level. For the first time in the world an Innovative Technique of Transforming the Astrologically identified Psychological aspects has been developed . In this Technique Cosmic Brain Programming and Reiki Healing is used to send high frequency energy into deeper levels of biophoton light and the energy transformation takes place . This Technique known as Rescripting Astro Psychology by Cosmic Brain Programming and Reiki Healing has the power to upgrade our energy system and upgrade our life. No one should miss the opportunity of attending this world class Training. Today is the third day of Rescripting Astro Psychology by Cosmic Brain Programming and Reiki Healing Techniques. In the first 2 days , the participants were trained in fundamentals of Astro Psychology , Reiki Healing , and Cosmic Synchronisation. Today and tomorrow they will learn methodology of Rescripting their Astro Psychology for success journey in their life. Institute of Peace , Happiness and Mind Power Development , Jaipur is conducting Training in Rescripting Astro Psychology by Cosmic Brain Programming and Reiki Healing at Jaipur from 11th to 14th May 2017 in collaboration with Success Maximized , New Delhi .Anyone who is facing lots of problems in his or her life can join this Training and learn how to change in inner energy pattern from failure to success mode. It is a paid Training . India is a country where spiritual Gurus discovered the Principles of a Super Science known as Astrology. Rishis in India discovered that the planetary energy at the time of birth has a tremendous role to play in shaping the destiny of a person as this entrapped energy in the cells and DNA gives shape to various behavioural aspects. Padam Nabham Sharma , Chief Mentor and Motivator of the Institute of Peace, Happiness and Mind Power Development , Jaipur has innovated a Technique of Transforming the Energy Pattern from failure mode to success mode. This Technique is known as Rescripting Astro Psychology by Cosmic Brain Programming and Reiki Healing . Training of this Technique is conducted at various cities of the country. Our Training Programs are at Jaipur, Rajasthan ( 11th to 14 th May), Pune ( 8th to 11th June ) and Delhi NCR /Gurgaon ( 5th to 9th July ), 2017. Rescripting Astro Psychology by Cosmic Brain Programming and Reiki Healing Training will be conducted at Pune from 8th to 11th June 2017. Today is the beginning of the 4 days Training Program on Rescripting Astro Psychology by Cosmic Brain Programming and Reiki Healing. 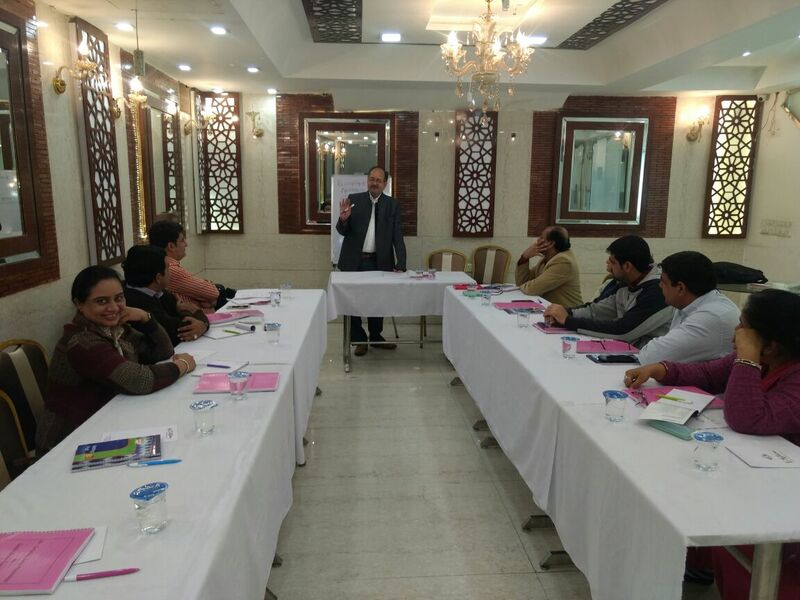 This is the 6th Training Program of the collaborate effort of Institute of Peace, Happiness and Mind Power Development, Jaipur and Success Maximized , New Delhi. Three Training Programs were conducted in Delhi and 2 in Mumbai. Our immediate future Training Programs are at Pune ( 8th to 11th June ) and Delhi NCR / Gurgaon ( 5th to 9 th July ).This is an Unique Training Program which integrates Astro Psychology , Neuro Linguistic Programming, Reiki and Cosmic Brain Programming to transform our inner energy patterns. I am thankful to God ( Super Consciousness ) for intuitions received which helped in developing this Program, Swamy Indra Vijayji Maharaj of Hariom Radha Krishna Temple Sacramento , USA for those moments of discussions where he suggested me to develop such a Training Program during my Visit to his Ashram at Sacramento, California , USA between July to September , 2016 and to Rishis of India who developed the Super Science , known as Astrology. Today is the last day of Training on Rescripting Astro Psychology by Cosmic Brain Programming and Reiki Healing at Jaipur. This is the 4th day. In first 3 days , fundamentals of Astro Psychology , Reiki , Cosmic Synchronisation and methods of Rescripting Astrological houses 1 to 5 were discussed and practical training was given. Today methods of Rescripting Astrological houses 6 to 12 will be discussed and practised. Transformation in Psychology of participants has already started. Rescripting Astro Psychology by Cosmic Brain Programming and Reiki Healing Training at Jaipur was an amazing experience. Energy patterns of many of the participants started changing during the Training of 4 days.